Heard a story on the news yesterday and couldn’t help but wonder if it might have implications for green data centers. It was a report on green roofs, an emerging practice of placing a layer of soil on the flat roof of a building or house and then planting vegetation. It’s chiefly done to compensate for the effect of deforestation on air quality in cities, and to manage stormwater runoff more effectively in the concrete jungle. But there’s another effect green roofs have, according to the report: the average flat roof can climb to between 150 and 200 degrees in summer months, exposed as it is under the hot sun. 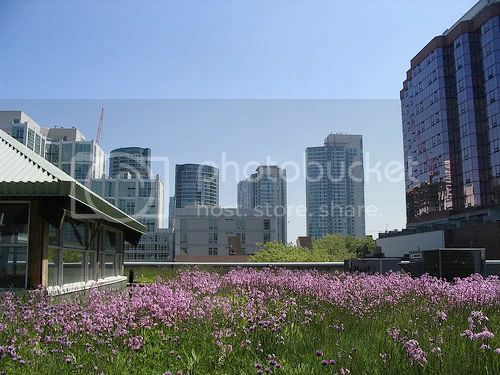 A green roof can bring that temperature down to the vicinity of 80 or 90 degrees, alleviating some of the stress on the building’s air-conditioning system and burning less energy to cool it. I’m sure I don’t have to explain the implications of this for helping to cool data centers, provided they’re in the right location. As it turns out, it would seem there are at least a few people out there who got that idea as well.